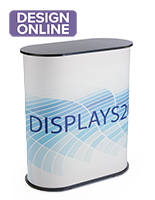 These trade show director chairs with custom imprint are ideal for use at events or as everyday commercial furniture. The easily portable seats feature a maple finish folding frame made from eco-friendly rubberwood. 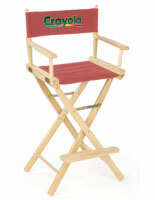 The sturdy director chairs with custom imprint come with red canvas fabric covers printed in full color on one side of the backer. The 18" seat height is perfect for use with standard folding tables. The ecologically friendly director chairs with custom imprint are an economical choice for building brand identity at special or promotional events. The durable red canvas fabric covers will withstand heavy use by staff or customers in high traffic areas. Please Note: Prices are based on single-image artwork. Orders with multiple images must be placed as separate orders. 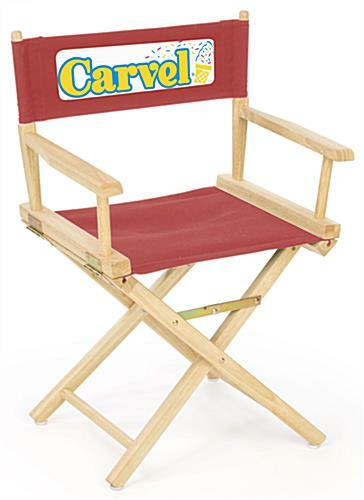 This folding director's chair is not meant for permanent or extended outdoor use. 22.5" x 33.8" x 16.0"
17.5" x 18.0" x 15.5"